When I asked them if they knew that at least some open access journals (notably PLOS ONE) would consider waiving the fee. I pointed them to this article as evidence. I now have another concrete example, courtesy of Proteins and Wave Functions. “People don’t have enough information!” is overused in explaining other people’s behaviour, but maybe that explanation has some traction in this case. Open Access journals and supporters need to do a much better job of communicating fee waiver policies. People who want to publish Open Access believe that they are excluded, when they may not be. 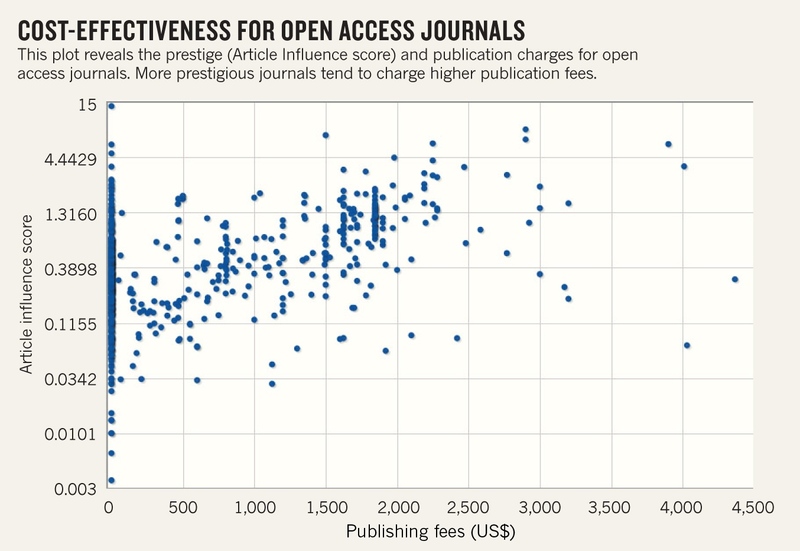 The article says there isn’t much influence between the author fees and the “influence” of the journal, but I wonder how much of that lack of correlation might be due to the large number of journals with little or no cost on the left hand side. The correlation from $100 to $2,000 looks... surprisingly good. What I also find interesting about this graph is that you can see a few pricing “sweet spots” in the graph: $0, $800, $1,500, and about $1,800. I wonder what causing those particular prices to act as “attractors.” Around the $1,800 mark, it appears that many of those journals are from the same publisher, BioMed Central? The other prices, though, are harder to suss out. Are publishers are pricing their fees to be comparable to each other? Or maybe all those prices converge because that’s about the price of publishing a paper for those journals? Don’t know. I suspected I was in trouble when I walked into the airport and there was nobody else in line for check in. Then, airport security mistook me for a chemist. Oh, the indignity. Sure enough, my 9:10 am flight that I'd come for no longer existed. I was now on a 10:45 am flight. Thanks for keeping me informed, United Airlines. I will say in your favour, United, that your flight attendant on UA 3849 (my 10:45 flight) deserves a raise. She was awesome and funny, and got applause from the cabin twice. I thought I got to the airport in time to catch my flight to Raleigh, but I miscalculated. The flight depart had been moved up about 20 minutes, and I mistook departure time for boarding time, didn't ask if the flight had started to board when I got to the gate, didn't realize I missed all the boarding calls, and consequently, missed my flight. The next United flight was full, but I managed to get transferred over to another flight on US Airways. While I waited, the news was showing the wreckage from tornadoes that were caused by the storm that was expected to be hitting Raleigh more or less the time I was supposed to arrive there. All this put more in a foul mood. I was mad at myself for missing a flight I might have been able to make, and the schedule changes. I seriously started questioning whether conferences were worth it to me any more. As I flew over the clouds, I wondered if any of them were the storm clouds that were causing so much grief today. I wondered what a tornado cloud looked like from above. The new flight was not direct to Raleigh. It touched down in Charlotte first, so I had enough time for a bathroom break, but there was no food I wanted to eat nearby. I spotted Emily Willingham (Double X Science), which was nice, and arranged to split a cab after we got off the plane. Getting off the plane would take some time, however. Just as we were boarding, the weather that I'd seen forecast days before, and watched on the news, finally caught up with us. Heavy, heavy rain that was coming down in buckets like when then turn on fire hoses to make in rain in movies because you need huge amounts of water for it to show up on film. We got on to the runway, and then spent an hour there, because outgoing eastbound flights were delayed until the storm front cleared out a bit. I finally arrived in Raleigh about 10 pm, something like six hours after I was supposed to have arrived. In fact, I think my entire trip was supposed to last just six hours. I walked into the hotel lobby to check in, heard what can only be described as a din coming form the bar. Science Online was in full swing, all right. I was still feeling foul and wanting sleep, so I went into my room to hide and try to reset my dial to the green zone. On the plus side, when I checked my email... manuscript accepted! 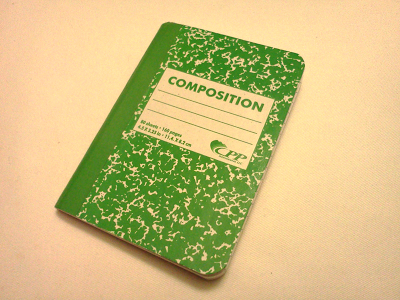 When I’m on the floor of Science Online 2013 in the next few days, this and a pen is the only thing I plan to have with me. I’ll leaving my smart phone and tablet in the hotel room. I won’t be live tweeting. 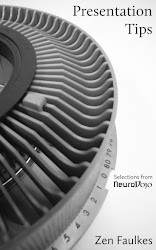 I may do a couple of end of day summaries here on NeuroDojo. At other conferences, I am usually one of very few online. I have learned that people enjoy getting conference updates, so I do it partly out of a sense of service. But at Science Online, instead of being in a very tiny minority, it’s going to be 449 other people like me. This is probably going to be themost documented conference I will ever attend. The point of a conference is to do something different. I interact with many of these people online regularly. Why would I do the same when I have them right here in front of me? Hey, we missed the whole thing. At Science Online, I want to be, as actors say, “in the moment.” Fully present, paying attention, and listening. Update, 6 February 2013: Thought I was kidding about everything being documented at Science Online? Not photoshopped, just straight photography. From The Daily Mail. Hat tip to Brian Switek on Twitter. Whales: big enough, too big, or bigger than big? This picture can’t do them justice. No picture can. That’s because this is a picture of a blue whale, the largest animal to live on this planet. Ever. Goodness knows, people try to show you the size. They put up mounts of blue whale skeletons in museums, or life sized models. There’s a very cool online animation that shows images from the blue whale full sized, on your computer screen, as has it drift by lazily. But I suspect that even these clever things can’t do the trick of conveying what the size of the living, breathing animal must be. But while the blue whale has the undisputed title of being the biggest, whales, dolphins, and their brethren in general are all very big compared to most mammals. In a new paper, Clauset tests a model that tries to explain why whales might so big. Strength increases as you make muscles bigger, but strength doesn’t increase as fast as mass does. What’s interesting about Clauset’s approach is that he explains the sizes of whales without using too many of these sorts of arguments. He does invoke the physics to explain the limits to small sizes. 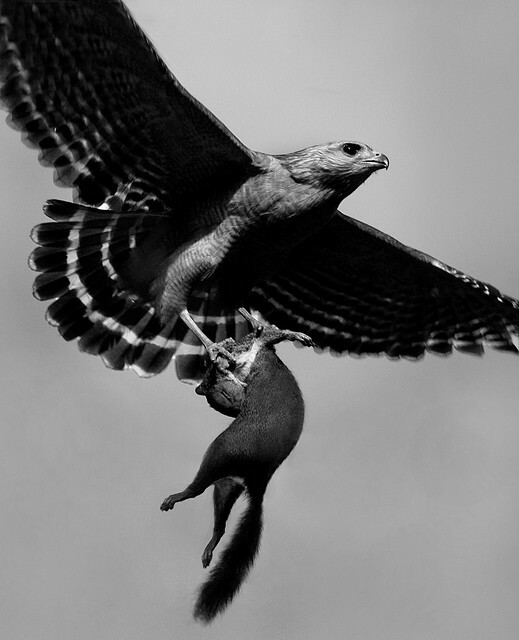 Mammals (and birds) can only be so small because of how they regulate their body temperature. If you’re too small, you cannot eat enough food to make up for the heat flow away from your body. Clauset ignores all the details of biomechanical and physical and energetic limitations by rolling all that into “extinction risk.” Can make bones strong enough? Can’t eat enough food? All of those mean that those big species are more likely to go extinct. Clauset assumes a species can either get bigger or smaller over evolutionary time, although Clauset assumes there are some fitness advantages to being bigger. You have a hard limit on how small you can get set by your ability to themoregulate. The limit to how big you can get is a soft limit set by the likelihood your lineage will go extinct. With only these facts, Clauset’s model fits the size distribution of cetaceans extremely well. Presumably, the same model could be used for terrestrial mammals or birds. Even the massive blue whale, Clauset says, is not particularly unlikely according to his model. Clauset draws out the line from his model and suggests that it might be possible to have a whale species that is over three times bigger than blue whales; 3.7 times, to be exact. 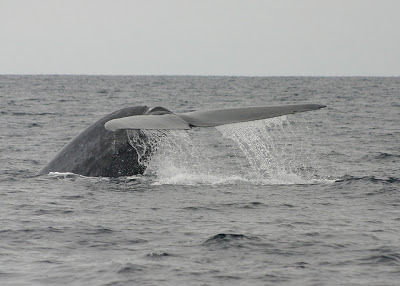 Clauset notes that such a massive whale could not just be the blue whale scaled up. To be bigger than the blues, a new whale species might have to evolve some innovation that would allow them to forage more efficiently than the blue whale’s lunge feeding. The notion that even the blue what could be dwarfed by another sea creature is an awe inspiring thought. Blue whale photo by Seabass London on Flickr; used under a Creative Commons license. La Plata dolphin from Washington Post. 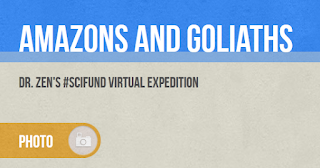 Amazons and Goliaths, my #SciFund expedition blog, now available! Back in November, when I went on a trip supported by two rounds of #SciFund money, I made a “virtual expedition” blog for my supporters. I called it “Amazons and Goliaths” after the titles of my two #SciFund projects: Doctor Zen and the Amazon Crayfish Civilization and Beach of the Goliath Crabs. To read it in chronological order (recommended), start at the bottom of this page and read backwards. Pretend you’re reading manga. The blog has been mostly quiet since November, but I’m starting to do some of the analysis of the data I got, and it will get updated occasionally as I go along. At the time, I had it pass word protected as a benefit to those who supported me. But that’s long gone now, and two events are coming that have convinced me it’s time to make it available to anyone who wants to have a peek at what I was doing. There is also going to be a symposium on social media at the next AAAS meeting in Boston in mid-February. Jai Ranganathan will be talking about #SciFund. The second event this week that made me open up the expedition blog is Science Online 2013. Since that conference is all about things like #SciFund, I want to give fellow attendees a chance to see that part of my project. Click to enlarge. Inspired by Daniel Kahneman, via Randy Olson (also here). This article is one of the first since the new semester to describe the state of the plan to create a new university in South Texas. The big “if” for the new university and its med school is whether the Legislature approves the plan by a two-thirds vote. The usual UTPA day at the Capitol in Austin was renamed this year as RGV Higher Education Day at the Capitol. The UTPA delegation will visit legislators’ offices Jan. 30 and talk up the new university. Normally, I’d be on the bus to go to Austin to talk to the legislators, but this time, I’m already committed to flying to Science Online that day. Nelsen said the new university’s lack of a price tag for the state might be the biggest plus for the Legislature. On the other hand, anything could happen. While I have my share of frustrations with my institution, I have to say this. It is nice to see a place that is moving in a generally positive way. At a time when many institutions are ratcheting up the numbers of adjunct professors and reducing the number of tenure track faculty, our institution has gone in the exact opposite direction over the last ten to fifteen years. The number of adjuncts teaching classes has gone down. In my department, when I joined, there was one woman on tenure track in the entire department; none were tenured. We’re still a long way from parity. I think I estimated we’d have as many men as women in the department when I was 85 or something. And several faculty members, both men and women, have started new families since taking the job here. Not saying it’s been easy or perfect for them, but it has to set a much better example for our students. Here is the next appetizer for the second of two Science Online 2013 sessions I’m co-moderating. “Blogging for the Long Haul” will be moderated by Scicurious and myself. Note! This session will be streamed online to Science Online Watch Parties. Mark your calendars! When I suggested this panel, I was thinking about strategies to deal with changing online ecosystems. Science blogging has stood the test of time. It’s lasted a good, solid, decade, and has gone from strength to strength. Yet we’ve also seen networks and platforms emerge, dissolve, and morph multiple times, with blogger packing up house and moving over and over. With the emergence of practices like open notebook science, science blogging, and science discussion forums a considerable amount of this content is being produced and presented on the web. If we do not act to collect this contemporary material, we may end up with more complete records of scientists’ unpublished notes and personal communication from previous eras than we do from our own. (I)f it is a trend, I hope it reverses itself. It’s hard to see blogging becoming a key way in which ecologists communicate ideas with one another if existing blogs (especially established ones) wind down. And since there’s a stronger incentive to blog once a “culture of blogging” exists, but not before, a field can’t really develop a culture of blogging in the first place unless there are some “early adopters”, pioneers like the folks who write the blogs listed above. If the early adopters themselves give it up before enough other folks have followed their lead, it’s hard to see how you ever get a critical mass. For other examples of the changing ecosystem, Tumblr carved out a niche for hyper-focused “single serve” blogs. 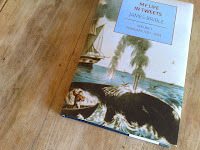 Twitter has also significantly changed the blogosphere: lots of things that people used to blog now get tweeted instead. People respond to posts with tweets instead of commenting on the blogs. 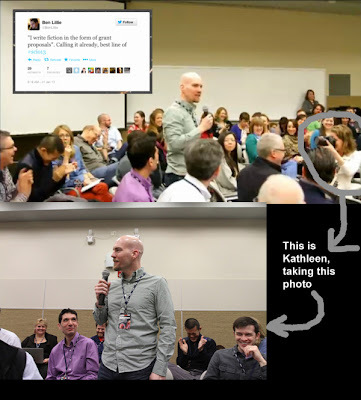 Was sad that your “Twilight of the Science Bloggers” session didn't make it. I definitely feel faded & dim. And that’s only after five years. Imagine how you might feel at ten. That’s becoming a bigger part of the session than I originally expected: how to deal with fatigue, or writer’s block, or feeling unnoticed, or running headlong into the dip. There are reasons a-plenty why you might feel burned out. When you first start out, there is nowhere to go but up. You see the number of hits accumulate, you see more people retweet or +1 your newest posts, and you have all these ideas that you have never talked about online that you want to share. But eventually, your readership plateaus. You run into “second album slump,” as musicians know it. The first album contained the band’s ten best songs, tried and tested and honed by years playing them in bars. You can’t draw upon that tested back catalogue again for the second album. 27 and a Ph.D. epitomises the feeling that it’s all been done before. At times I’ve gotten so discouraged by the internet overload that I’ve felt like everything I have to say has been said, and that maybe I should hang the blogging gloves once and for all. Then there’s the green-eyed monster. You might be blogging your little heart out. Then, someone who hasn’t been blogging as long as you is suddenly getting a lot of attention, has posts that keep getting retweeted and showing up on Ed Yong’s “I’ve got your missing links right here” weekly compilations, and joins some swanky science blogging network. Their post goes viral, while yours, on the same subject... doesn’t. The Internet, she is capracious mistress. What can you do to keep a blog going after the “new car smell” has faded? Obviously, we want to spend a good chunk of our session talking about this, it’s would be cruel to leave you hanging until then. Sci and I talked about a few tips that we have both used to keep us going. 2. Schedule. Both Sci and I are great believers in the power of making a schedule and sticking to it. One post a week, once a month, it doesn’t matter, but it helps when you commit to a timetable. Neither of us are “I only write when I’m inspired” types. 3. Don’t self censor. “This is too old, too small, too flawed for a blog post.” But you can never tell what will resonate with people. Even two or three paragraphs looks substantial compared to a tweet, or a +1. We will cover all that and much more! To end this post on a fun note, Chad Orzel does some filking with “Still Stuck on Paragraph Two.” If you can’t recall the tune, it’s here. Update, 3 February 2013: A Storify of the session is available here. Update, 4 February 2013: Scicurious has a wrap-up here that includes her Storify at the top, but if you scroll all the way down to the end, she has some more comments and thoughts. 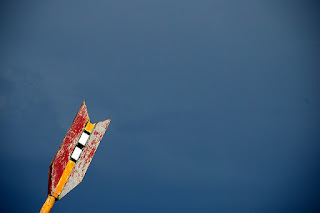 Update, 5 February 2013: Char Orzel reflects on the session. Green-eyed monster by Friday Felts on Flickr; sued under a Creative Commons license. You are invited as a reviewer/a member of editorial board/an editor-in-chief of [Journal name]. Are you for real? Reviewer or Editor-in-Chief. You know, whatever. It’s cool. The speed of Hindawi’s growth, which included creating many new journals in a short space of time and mass mailing researchers, led to suspicion that it was a “predatory” organisation. Today, however, most of its detractors have been won round and — bar the occasional hiccup — Hindawi is viewed as a respectable and responsible publisher. Nevertheless, Hindawi’s story poses a number of questions. First, how do researchers distinguish between good and bad publishers in today’s Internet-fuelled publishing revolution, and what constitutes acceptable practice anyway? If you read only one thing in preparation for the session, I suggest the introduction to this interview. It’s 20 pages long (not the introduction and interview, the introduction alone), but it is comprehensive and substantial interview that deserves the “#longreads” hashtag. But that introduction is one of the best descriptions of the issues around the problems of legitimacy of open access publishing that you will find. If you’re looking for a shorter synopsis, perhaps this one pager will work for you. Picking the right journal has always been difficult, but the plethora of new open access (OA) journals — and the increasing pressure from funders to publish in them — has made the choice even more daunting. So I submitted to this journal, after looking up some of their papers and a few people that have published there and convincing myself it wasn’t a flat-out scam. There were many good reasons, in my mind, to just do it – it was peer-reviewed, my article and software are sound (though a minor contribution) and I would like closure on this project I finished a year ago. It turns out, there are some even better reasons not to publish with this journal. That pair of posts sort of sums up the conundrum. Going back some time, we find some ways that people have assessed quality by other means. Just how desperate was this publisher for a manuscript? Would they accept just any submission as long as I was willing to pay their $800 publication fee? I decided to embark on a little experiment. While this experiment did not result in acceptance, a second, similar experiment did. This is a key story that was widely reported and contributed to the poor reputation of open access journals. The publisher that fell victim to the first hoax in 2009, Bentham, has also received other poor press for perpetually bugging people. This is basically a form of SPAM as they send these out to people no matter what the connection is to the journals field. The most annoying part to me of Bentham Open is that they try to make it seem that anything published in an Open Access journal is better than anything published in a non Open Access journal. While I personally believe publishing in an OA manner is great, lying about the benefits of OA is not a good thing. If you are resorting to spam to get to people to write for your journal, I don’t ever want to read it and will never cite anything published in it. Even if you were only angling for readers, I’d be suspicious of your integrity, but to spam for people to submit to you is absurd. Even mediocre journals nowadays get far more submissions than they can ever print. So if your journal isn’t even mediocre enough to attract people then you have a real problem. This raises the question, though, of how a new journal can ever gain legitimacy. Even PLOS ONE, a success by most standards you’d care to name, was new once. The Bentham case in 2009 was not the only example of a hoax paper accepted for publication. Another occurred last fall. I’m pleased to announce that Mathgen has had its first randomly-generated paper accepted by a reputable journal! (I)t’s randomly generated nonsense – grammatically accurate sentences penned by a computer program that have no mathematical merit, so seriously, don’t feel bad if it doesn’t make sense to you. You know who should feel bad, though? The person at the open access math journal Advances in Pure Mathematics who accepted this paper for publication. Analyzing the math paper hoax, Bob O’Hara thinks molehills are made into mountains. The journal that accepted the randomly-generated paper is published by SCIRP, and is on Jeffrey Beall’s List of Predatory, Open-Access Publishers. In other words, we know from their behaviour that they essentially act as vanity publishers for scientists. Based on the number of spam emails I receive from them, I suspect they’ve managed to become quite well known for this. Which means that nobody will think highly of a paper published in one of their journals, so very few scientists will want to submit a paper to them: you simply don't get any credit from your peers for publishing there &ndash indeed, they may even laugh at you behind your back. The journal gratuitously uses the Elsevier logo in a prominent position on its homepage. It also lists an impact factor — which it does not have. It didn’t take me very long to find plagiarism in the journal’s articles. Beall is often called upon to comment upon open access publishing. Honest scientists stand to lose the most in this unethical quagmire. When a researcher’s work is published alongside articles that are plagiarized, that report on conclusions gained from unsound methodologies or that contain altered photographic figures, it becomes tainted by association. Unethical scientists gaming the system are earning tenure and promotion at the expense of the honest. (T)his issue is nothing to do with OA: there always have been and always will be fraudulent journals and publishers alongside the good ones; and it always has been and always will be authors’ responsibility to avoid them and go to the good places instead. My feeling is that, while a good solution could certainly say positive things about good publishers as well as negative things about bad publishers, we do need it to produce (among other things) a blacklist, if only to be an alternative to Beall’s one. Since that’s the only game in town, it has altogether too much power at the moment. I was surprised when one of our editors told me that the name of Ashdin Publishing is found in the list of "Beall's List: Potential, possible, or probable predatory scholarly open-access publishers" ... After I received the e-mail below, I am not any more surprised. Now, I am sure that the author, irrespective the good reasons he may has for preparing this list, wants to blackmail small publishers to pay him. This was untrue, Beall said. I've been a victim of email spoofing in which someone is sending emails that appear to be from me but really are not. One of the spoofed emails is an offer to "reevaluate" a publisher's presence on my list for five thousand dollars. These emails try to make it look like I am extorting money from publishers. Beall’s solution to the problem of open access versus credibility? I support what I call “platinum open-access.” This is open-access without author fees, and with the publication costs supported by volunteer work and benevolent funders. There are a few publishers that now use this model, but it’s not sustainable and it’s not scalable to all of scholarly communication. The only truly successful model that I have seen is the traditional publishing model. One of the aspects that I did not initially consider in proposing this topic was the cultural issues involved. Developing, non-“Western” nations seem to be not only the source of, but fall prey to, much of the bogus publishing. 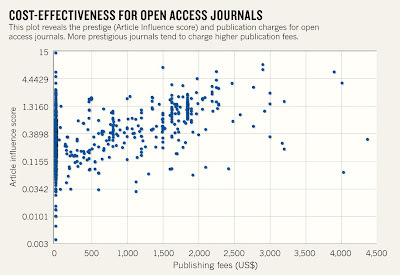 The tool, called Cost Effectiveness for Open Access Journals, incorporates pricing and prestige information for 657 open-access journals indexed by Thomson Reuters, including 356 that do not charge any fees. I have my own posts on this matter. But no, this is supposed to be from a serious scientific journal. Excuse me, “Joournal”. It’s incredibly tempting to send in a hoax article to see if their “post-publication peer review” calls it out as gibberish. I look forward to hearing the thoughts of those at Science Online next week! There are those who feel strongly that selecting papers on the basis of “interest”, “novelty”, “importance”, and other such attributes is a purely arbitrary business with no place in science. I don’t take that view. But if you feel that way, you need to decide whether you’re prepared to live by your principles and submit all your work to PLOS ONE or other unselective journals, given that many of your colleagues do not share your views and may not view your CV very highly. I’m getting increasingly interested in the line between “not viewed highly” and “predatory.” If two publishers take money for article fees, and your article is published, but neither is viewed by colleagues as “counting,” arguing over the relative rigour of peer review is almost moot. 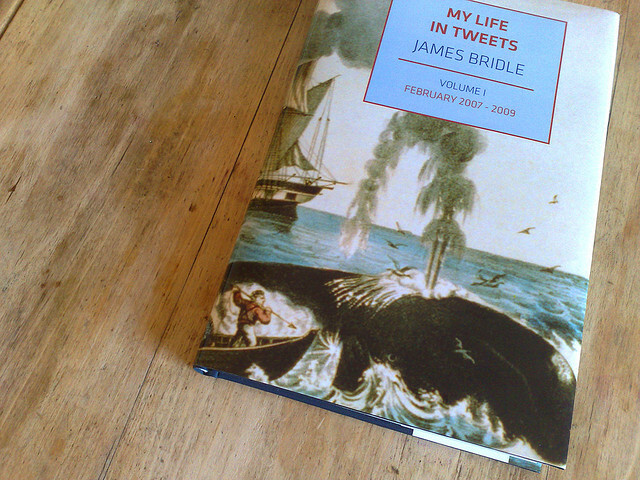 “My Life in Tweets” photo by STML on Flickr; raptor picture by Andrea Westmoreland on Flickr; both used under a Creative Commons license. The Revisionaries to air nationally in U.S.
One of the things that got me “born again hard” about blogging was following the development of the Texas K-12 science standards, mostly back in around 2009. One of the unexpected outcomes of that process was that a documentary film got made. Originally titled Standing up to the Experts, it was partially funded by a Kickstarter campaign. I was one of the backers. The final film, retitled The Revisionaries, will start showing next week across the U.S. on public television stations, according to the National Center for Science Education. On my local station, it will be airing three times, but two of those are in the dead of night. I’m looking forward to seeing the result at long last. McLeroy could be an excellent, even inspiring teacher, if only he were not so badly misinformed. Additional, 28 January 2012: The creators have an “Ask Me Anything” thread on Reddit. 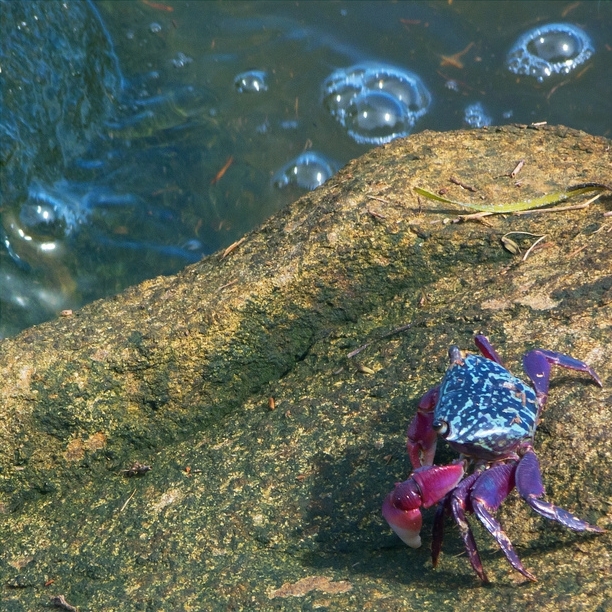 Love the colours in this crab! Photo by Leonard John Matthews on Flickr; used under a Creative Commons license. I am the program coordinator for the biology master’s degree at my university, so I obviously have a vested interest in this question. A conversation about it broke out on Twitter on Sunday, which I present here without commentary (yet). Now, Theo Sanderson has done the scientific community a great service by creating a little editor that lets you see if you can write something using only the most common English words. And, of course, scientists are rising to the challenge, trying to describe their research in words anyone should know. 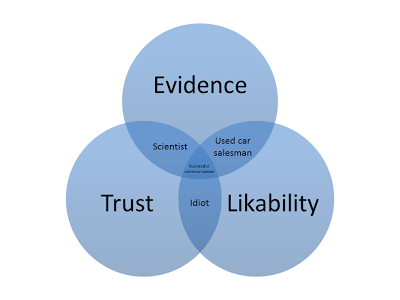 Someone has started a Tumblr of scientists explaining their research this way. 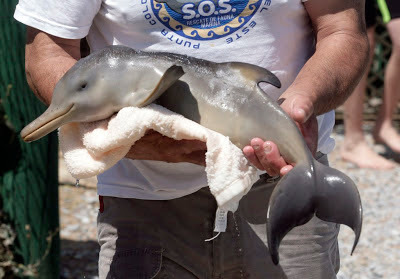 I work with ten legged animals that are hard on the outside and that live in the water. I watch what they do, and sometimes I look at their brains to see how they do it. Some of my animals are all girls, and don't need boys to make babies. They are interesting, and many people like to keep them in their homes, but they could be a problem if they are let go in the wrong place. Some of my animals live in very very small rocks along the edge of the water, and go through it almost like it wasn't there. I check out where they live, how big they are, and what colour they are. I am so using this in my next Biological Writing class. P.S.—My bit on the Tumblr! Additional, 19 January 2013: There’s another Tumblr, with this one devoted specifically to telling Ph.D. theses in the “UpGoer Five” style. I did my dissertation abstract here, because I though the first one I did wasa little too easy, as it was so general. I wanted to see how I did with a specific piece of technical writing. Some animals that are hard on the outside and have ten legs have come up with a “new” means of getting around: they use their legs to go through very small rocks instead of walking around on the bottom like other ten legged animals. I looked at how three of these animals from two families get around. There are several things in how these three animals move that are almost the same in all three, suggesting that they know how to go through small rocks because they all got it from older animals in their family tree. The way their legs go around is much the same in all three animals: when you look at an animal from its side, leg 4 goes around one direction, and legs 2 and 3 go around in the other direction. In all three animals, the left and right legs take turns going forwards and back; the back end of the animal goes forward and back faster than the legs; and the timing of moving in a one given leg is much the same in two of the three animals. There are also things that make animals in the two families different. When two of the animals get around, the left and right legs take turns at the start, but then change to moving forward and back at the same time. In the third kind of animal, the left and right legs 2 and 3 take turns all the time, but the left and right legs 4 can still move together, and move faster than legs 2 and 3 (about as fast as the back end of the animal). There are also some things that almost but not quite the same in how these animals get around and how other animals walk, suggesting these two ways of getting around may have started the same way. The way the legs on one side of an animal move is almost the same whether an animal is moving through small rocks or walking, and the cells that control the end of the legs are almost the same in animals that move through small rocks and those that walk. Moving through small rocks and walking look different: the back end of the animals moves fast when it is going through small rocks but not walking, and that legs of animals moving through small rocks move in very few ways, while the legs of walking animals can move in many ways. The way legs 2 and 3 move when going through small rocks looks like the way walking legs move when an animal is walking back, but the way leg 4 moves when going through small rocks looks more like how walking legs move when an animal is walking forward. This suggests that moving through small rocks came from joining several different ways that animals move around (walking back in legs 2 and 3, forward walking in leg 4, and flipping the back end very fast). It takes a while, but I have to say, I don’t find it very hard to convert most of my work. And you can see the benefit of a little jargon: you can say more in fewer words. What we know about crustacean pain? 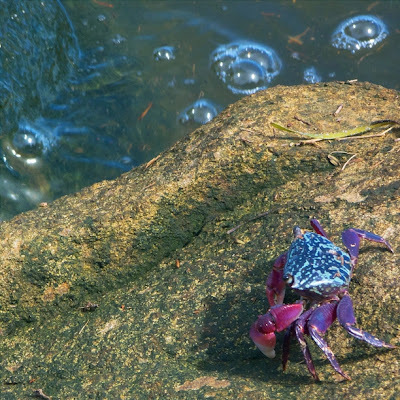 Crabs, and probably other big decapod crustaceans, avoid electric shock in the short term. They can learn to avoid places where they were shocked over slightly longer terms. There may be substantial variation across individuals in their ability to learn. The evidence is consistent with pain. Pain is hard to prove, even in humans. Whether electric shock is normally relevant to crustaceans. Whether electric shock processed in the same sort of way that people and mammals process noxious stimuli. 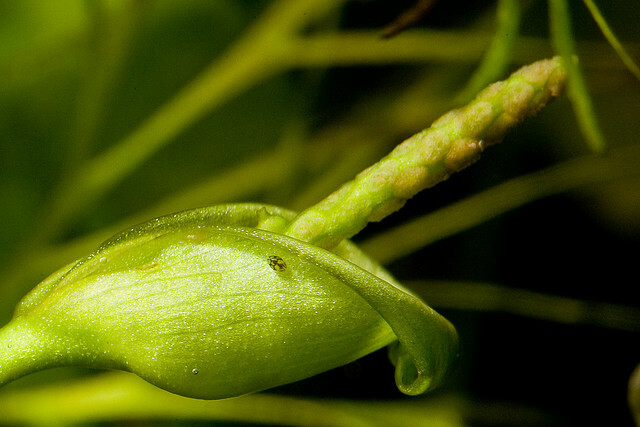 Whether there are specialized neurons for noxious stimuli in crustacean. Whether any other kinds of stimuli are aversive to large crustaceans, like high temperatures. 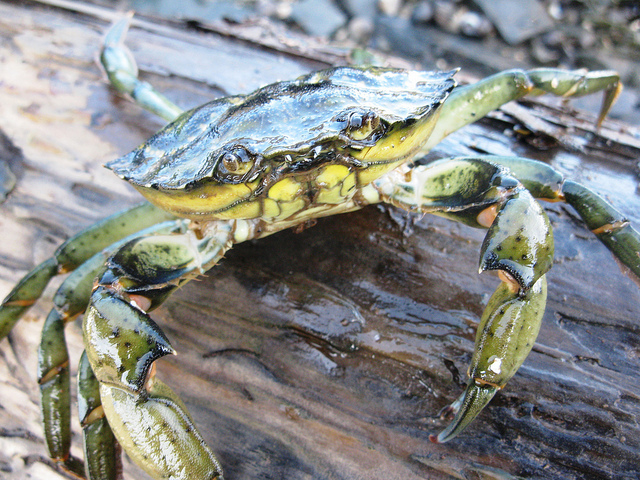 A new paper on crustacean pain by Magee and Elwood came out on Wednesday, 16 January 2013. This new paper is, in some ways, a variation on papers that senior author Robert Elwood published on hermit crabs (Appel and Elwood 2009, Elwood and Appel, 2009). 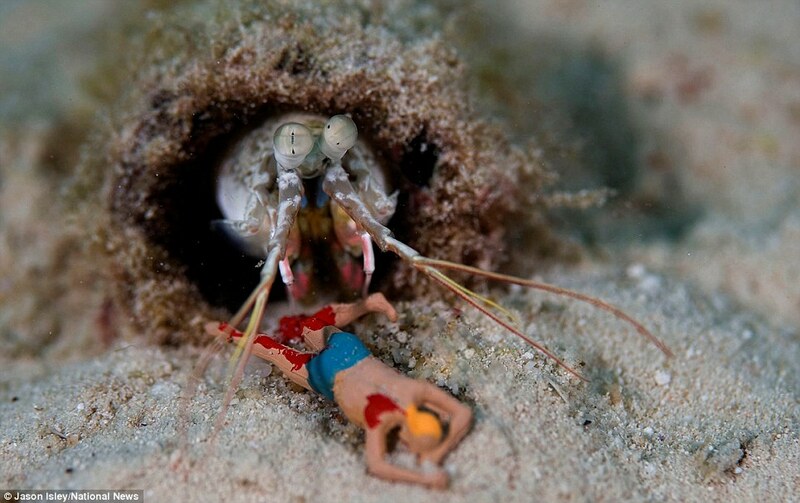 In these earlier hermit crab work, they shocked the abdomen of the crabs, and they found they could get the hermits to leave the shell and take what would normally be an inferior shell as a new home. In the new article, Magee and Elwood used electric shock as their stimulus again. Electric shock is used in many studies of pain, but it does have a problem: it’s not very specific. It will trip off any kind of cell that is electrically excitable, including sensory neurons, motor neurons (potentially causing spikes from motor neurons to travel backwards into the central nervous system), and muscles. It’s difficult to know just what you’re doing to the animal’s nervous system. Crabs (in this case, Carcinus maenas; pictured) like dark hidey-holes. Magee and Elwood took the crabs, placed them in an open arena with two shelters, one with vertical stripes and one with horizontal stripes. Then, they chose one shelter that if the crab entered it, they gave it an electric shock. They gave the animals 10 trials, which were delivered in short order (two minutes between each trial). The total testing time for each animal seemed to be maybe an hour or two, depending on the crab’s behaviour. What you would expect is that crabs would learn to avoid the avoid the shelter in which they got shocked. This is indeed what happens (Figure 1 from Magee and Elwood below). But notice that even at the end of the trails, about a third of the crabs are still walking into the shock box. Maybe these are just crab masochists. The authors went on to test whether it was the stripes on the shelter, or the direction of the shelter, that the crabs had learned by swapping the positions of the two shelters. This seemed to have happened right after the ten trials. Given that part of the argument that they make in the Introduction that “pain facilitates long-term protection because of the ease with which animals learn to avoid that situation and avoid future damage,” and in the Discussion that they are finding “long-term motivational change,” the relatively short time scale is slightly surprising. Magee and Elwood’s argument would be greatly strengthened if they showed the crabs retained the memory after, say, 24 hours or 48 hours. 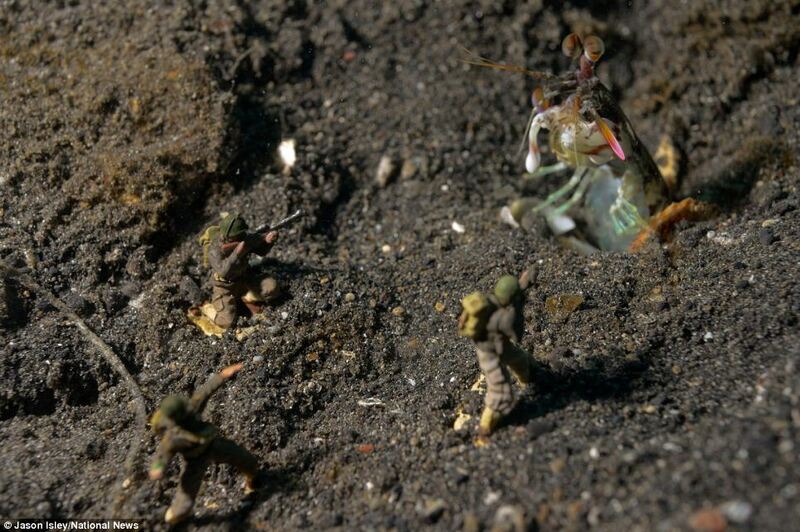 Other studies have shown that decapod crustaceans, like crayfish and lobsters, can remember things, such as who they’ve fought, for days to weeks (reviewed in Hemsworth et al. 2007; see their Table 1). Crayfish shocked while they were facing away from the door (group B for backward). These authors noted that group F, on the right in the figure below, learned to avoid the shock. But notice that about half the animals in this group never learned the task (S6, 7, and 10), and it took a long time. Group B never improved. All the crabs getting a little better throughout the trials. Some crabs getting very good, while others just never, ever learn. Now, the crayfish were shocked less than the crabs were. But if the idea being put forward is that avoidance learning suggests pain, would this mean that only about half of crayfish feel pain... and only if they are looking at a door? Having talked about the paper itself, I want to shift to how it’s being reported. I expected media attention over this paper, because previous papers from the Elwood lab had gotten attention. For instance, a lead interview on Quirks and Quarks. I was still surprised by the breadth of coverage people in my Twitter feed helped me find yesterday. The Daily Mail was the first I found, followed by the BBC, Discovery, The Guardian, National Public Radio, Fox News, Live Science and I’m sure there will be many others. The Mail article starts off with the old hack, “Scientists have proven...” as though this is a worldwide consensus instead of two people (Magee and Elwood, 2013). Oh, but how such reports grate on me with their use of the word “prove.” (There are exceptions; the BBC puts “further evidence” in its headline, which emphasizes that this is part of a series of studies). The original paper in JEB is, as often the case, much more nuanced than the press articles suggest. It carefully uses phrases like, “consistent with pain”, which admits there are alternative hypotheses. Elwood and colleagues are doing a series of studies, step by step; the sort of incremental progress that characterizes so much of science. Let me start by saying that not everyone agrees with the notion generally that crustaceans feel pain. Victoria Braithwaite, in her book Do Fish Feel Pain? (reviewed here), concluded that crustaceans do not feel pain, even after long discussions with Elwood. The two have very different standards on what they think the criteria for pain should be. Elwood appears to think that to show that an animal feels pain, you only need to show that it responds to a nasty stimulus with something more complicated than a reflex. Braithwaite thinks that to show an animal feels pain, you need to show that animal is capable of consciousness. I think it’s fair to say that neither one is widely accepted as the standard for showing an animal feels pain. If people are still engaged in heated debates about pain in fish after ten years, even when the evidence related to the question is much further developed than it is for crustaceans, we are a long way from “proving” crustaceans feel pain. Electric shock is not boiling water. If you’ve ever tried to boil a live lobster, you probably noticed that it did not just sit patiently in the pot. 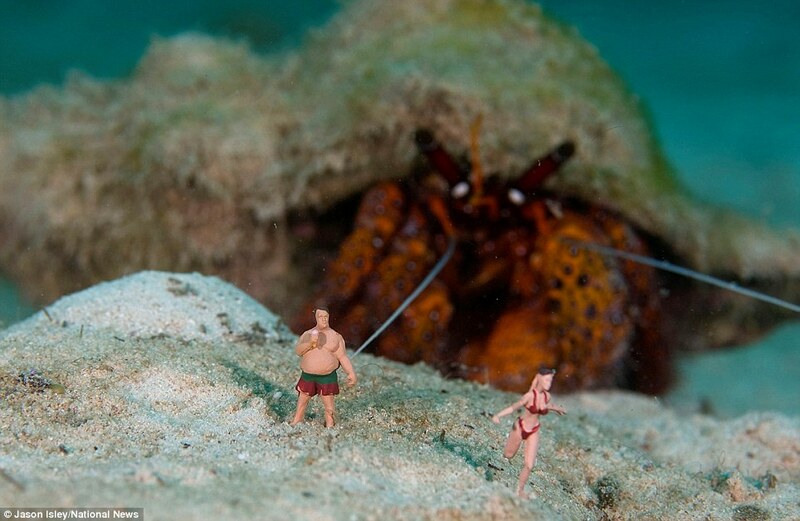 Most lobsters put up quite a struggle. A lobster thrown live into boiling water may suffer for many seconds, said a scientist who argues that crustaceans can likely feel pain. So did Fox News, and added housing into the mix. Researchers have suspected for some time that live lobsters dunked into boiling water and rubber-banded crustaceans stored in crowded fish market tanks experience tremendous pain. Even if you agree that electric shock is painful to the crabs, that does not automatically mean that crabs experience pain the same way we do. It’s not a crazy hypothesis, but it is still something to be tested rather than something that has already been demonstrated. For instance, at the recent Society for Integrative and Comparative Biology meeting, one talk showed a short clip rather like this one. It shows a crab, its claw injured in a fight, crabbing its claw, and ripping it off. You could hear the audience reacting when this was shown; people made the sort of groans that they make when they see the weekly sports blooper reel, particularly when you see accidental hits in the groin area. Here’s a shorter, (but off-colour!) video of the same behaviour. This is a reminder that what might seem painful to us is not necessarily painful to a different animal. Tearing off a limb voluntarily is not something a human would do. In humans, capsaicin is the chemical that makes chili peppers hot, and is often used in studies of pain as a painful stimuli. Strictly speaking, the chemical causes sensory neurons called nociceptors to fire. Fruit flies also have nociceptors , so at first blush, it’s perfectly reasonably to think they would avoid food laced with capsaicin. Nope. 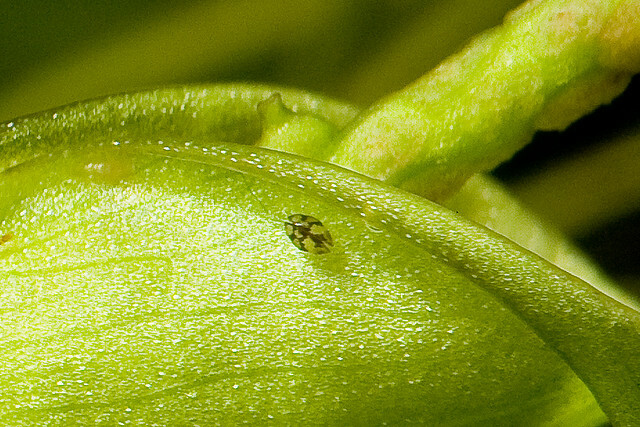 The more capsaicin, the more the flies like the food (Al-Anzi et al. 2006). Live Science also earns points in my book for mentioning that naked mole rats do not respond to many stimuli that other mammals avoid and appear painful. If you want to know if boiling a lobster is painful to said lobster, you should test its response to high temperatures, not electric shock. It is heartening to see that some of the articles I’ve found obviously used embargo time to find other scientists to comment on the study. Scientists who study fish (Paul Hart, quoted in The Guardian; Lynne Sneddon, quoted by the BBC; Lynne worked on fish nociception, so was a good choice), marine organisms besides decapod crustaceans (Magnus Johnson, also quoted in The Guardian). Only one reported contacted someone who has worked on crustacean behaviour (Francesca Gherhardi, who I just met last week, quoted by Live Science). 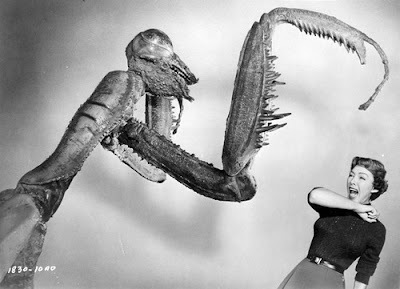 Having provided several papers providing evidence that electric shock is painful, I am surprised that NPR reports that Elwood suggests electrocuting crustaceans is a pain-free way of dispatching them. As for what this might mean for those of us who occasionally dispatch a crustacean or two, the best way to minimize potential pain is likely electrocution or driving a knife through the creature's brain, Elwood says. But as most of us lack specialized machinery and knowledge of crustacean anatomy, the easiest way is still dropping the crab in a pot of boiling water. I’ve commented on this before (here, here). 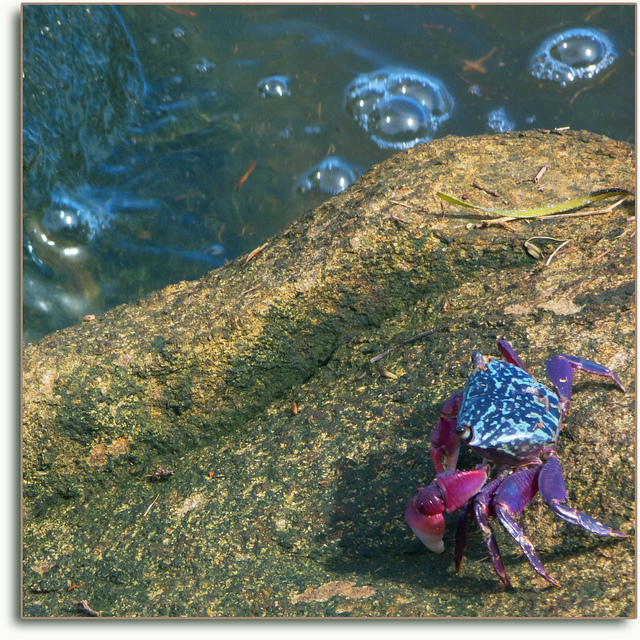 In crustacean neurobiology labs, the most commonly used anaesthetic for crabs, crayfish, and lobster, is chilling. My suggestion would be to put an animal on crushed ice. 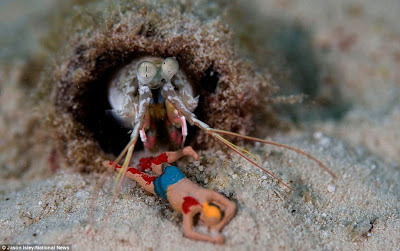 I do not have strong opinions about whether crustaceans feel pain or not. But I do think that this new paper is closer to the beginning of research on this kind of question than it is to the end. Additional: I find it interesting that The Independent ran this story in their “Food and drink” section. Braithwaite VA. 2010. Do Fish Feel Pain? Oxford: Oxford University Press. Crab photo by BrentMWilson on Flickr; used under a Creative Commons license. The National Center for Science Education reports that creationism is being taught in some Texas K-12 schools in Bible classes. I am not sure I can get as upset about this as if this were being taught in other courses. It’s a Bible class. What’s on the label is what’s in the tin, so to speak. Phil Plait also reports on voucher program sused to support sending students to private schools with public money. Texas does not have a voucher program, but is apparently considering it. When you’re travelling, you can pack a lot of experiences into a very small time frame. When I went on my #SciFund expedition last November, I had a lot of moments to think, since I was mostly on my own in the field, either netting crayfish or digging for sand crabs. 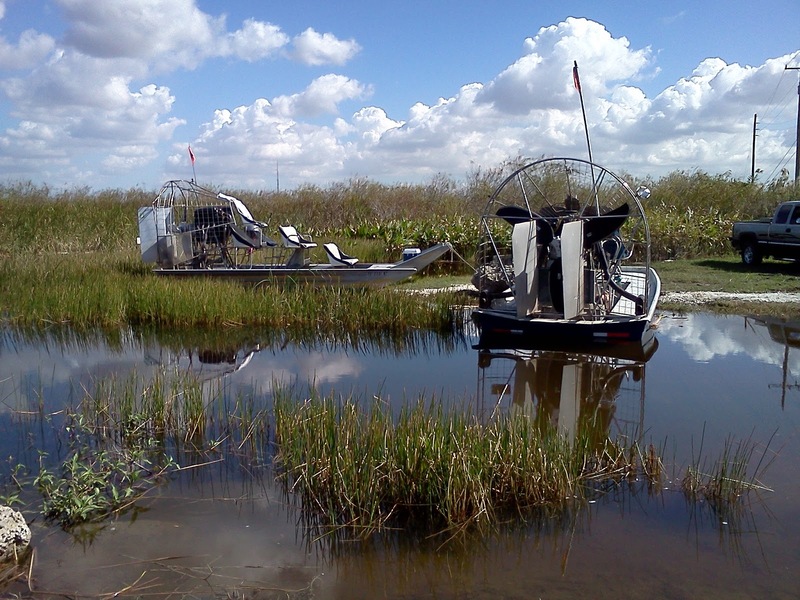 The first part of my trip was searching for crayfish, on the edge of the Florida everglades. The place I was collecting had a little boat launch, where small tourism businesses would load up their airboats and take tourists out into Everglades to see birds and alligators and so forth. It was warm and sunny, and the work was not all that easy, so by the end of my time collecting, I was feeling scruffy. And I had epic hat head. 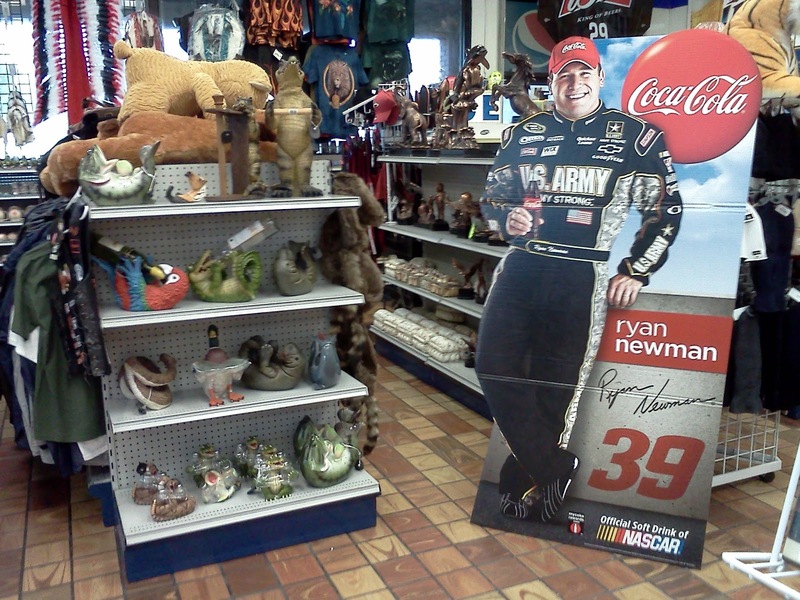 Near where I was collecting, there was a gas station where I would stop to get a drink. And it was almost the perfect stereotype of rural American culture. 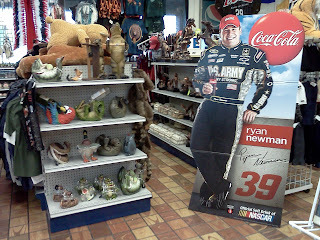 Hunting knives. Beer. Fishing. NASCAR. I am a scientist of Walmart. By which I mean this. Some of you may know the People of Walmart site. It’s a window into perspectives on class in America. A lot of the site is about making fun of people who are low class, poorly dressed, rural, or what have you. And I realized that the kind of science I do, and the kind of scientist I am, could be viewed through the same lens that focuses on the people of Walmart. 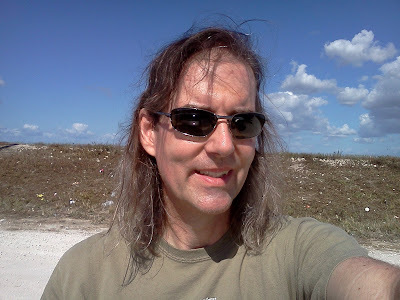 Here I was out at the edge of the Everglades (i.e., swamp), funded by two little crowdfunding campaigns, trying to answer some small questions about a couple of crustaceans. I work at a rural university. In Texas. I’ve even boasted about my low prices. What I was doing, – am doing – is not expensive, not fashionable, not sophisticated, either scientifically or culturally. I realized that while I may have the education and I wanted to think that I was above all this gas station culture, no matter how how I worked or what I did, scientifically, I was probably always be viewed as someone mucking around on the fringe of scientific society. Hat tip to Scicurious for encouraging me to blog this. In science, almost everyone is obsessed with what the “best” journals are and how to get their papers in those journals. I argue that sometimes, there are good reasons to publish in journals that are not seen as the “best” journals. If there is a journal that you like, that has a mission you support, sometimes you should submit papers there even if you think it might be publishable in a “better” journal. It might be an established journal. Maybe this is a journal that has just had a change of editors, is trying to make positive change to the journal. It might be a journal published by a society that you belong to and support. For some scientific societies, the journal is one of their main sources of income. If you think that society is doing a good job, and you like the conferences they hold, and the scholarships they provide to students, maybe you should support it by submitting good stuff to their journal. It might be a new journal. Starting a new journal has to be a scary experience for the editor, publisher, everyone involved. You hope that you are going to be able to fill blank pages, attract an audience, and make the journal a success. But someone has to blink first. Without researchers willing to take chances on new journals, we wouldn’t have journals that are shaking up the scientific publishing landscape like PLOS ONE or PeerJ. Journals can improve themselves by internal reforms (improving review, updating production processes, etc. ), but much still depends on the papers that are submitted to them. For a journal to improve, some people have to take a chance and aim low. Photo by zampano!!! on Flickr; used under a Creative Commons license. 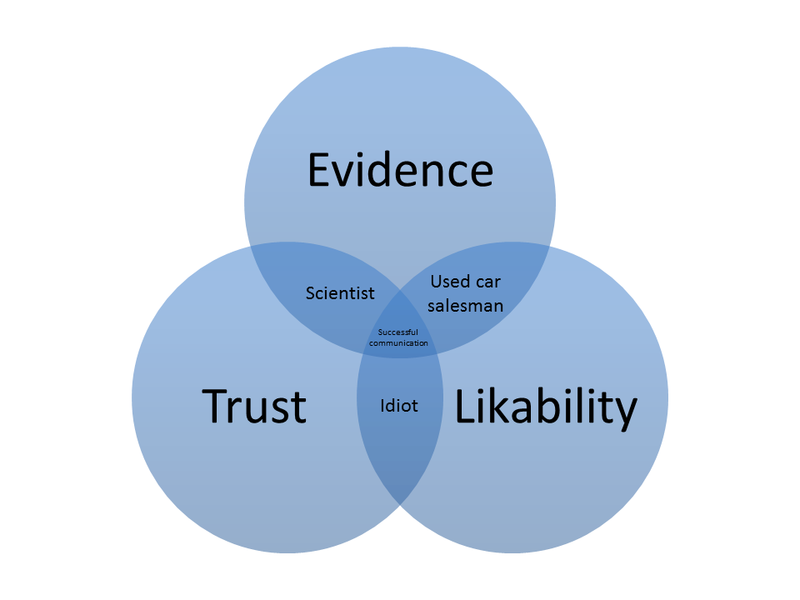 The Soapbox Science blog at Nature looks at science marketing hits for 2012. I want to add crowdfunding to that list. A hard to find article is a great example of why DOI is such an important thing to happen to academic publishing. This is why you should retroactively give DOIs to old articles, publishers! Yeah, I’m looking at you, The Journal of Experimental Biology! Photos by eclectic echoes on Flickr (here, here); used under a Creative Commons license. Fellow comics fans will probably know that Peter David, self-proclaimed “writer of stuff” recently had a stroke. While on Christmas vacation at a Disney park, no less. The good news is that he is recovering, but he still has a long way to go. His wife has two posts up (here, here) about how you can help him, mostly by buying his books, especially those from Crazy 8 Press. For those of you who are not comics fans, let me introduce you to Peter David, and tell you why you should buy his stuff. Not just because he’s had a medical emergency, but because he’s a damn fine storyteller. First thing you should know about Peter is that he is prolific. He works in comics, books (lots of movie novelizations and media tie-ins), columns (“But I Digress...”, being reprinted on his blog), screenplays for movies and television (including a couple of Babylon 5 episodes), and probably more I don’t know about. In other words, he has stuff for you even if you’re not a comics fan. But there is always, always, a serious and emotional core in his stories. Sometimes, David has complained people pay more attention to the laughs than the serious stuff. But I’m convinced he wouldn’t have the audience and writing gigs that he does if he just wrote gags. I first got to know Peter David’s work in The Incredible Hulk. Now, everyone knows the Hulk: green, dumb, and the strongest one there is. So imagine my surprise when I saw the character reborn as grey, smart, no longer the strongest there was (Ben Grimm finally beat him one on one... momentarily), and working as a Las Vegas bouncer named Joe Fixit. I loved it because the whole dynamic of the book flipped. 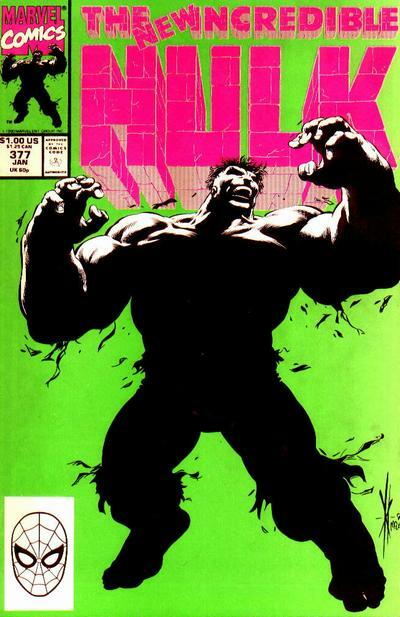 Bruce Banner had always been the one the one whose life was getting messed up by the Hulk. Now, the Hulk had a life that Banner could screw up. I loved this story arc. Since then, I have followed Peter David’s work with interest, He’s one of those people that, when I learn he has a new project out, I at least check it out. The green Hulk eventually returned, he did so an an unexpected way. Playing with the idea that Banner had a multiple personality, David played with a story arc of the struggle between Banner, the grey Hulk, and the green Hulk... all co-existing in Banner’s head, so to speak. This battle culminated in The Incredible Hulk #377, one of my favourite single issues, where the three personalities were joined into the new Hulk: green, but smart, but incredibly unstable. David often explores the science of psychology through his comic characters. He used the Hulk to examine multiple personality disorder; Strong Guy in X-Factor, chronic pain; Jamie Madrox, the Multiple Man, the nature of souls and decision making. I’ve since loved his take on creating an all-new X-Factor, some of his Star Trek novels (particularly Vendetta; Vastator of Borg... what a great idea to make something that had been a joke into a scary threat), Spider-Man 2099 (a character he revisited in Spider Man: Edge of Time video game, which he wrote) and more recently, Fallen Angel. I’m behind on the work he’s done lately with X-Factor and other comics and books... I must get caught up! I’ve done a little bit to help support Peter by buying Pulling Up Stakes, Part 2. (I’d already bought Part 1.) It’s a vampire novel that is very conscious of the traditions of the “vampire slayer” and Twilight genres, and stands both on their head. I was able to meet Peter David at Con-Version, an SF convention in Calgary, a long time ago, and tell him a little about how much I appreciated his work. I’m pleased to do so again publicly, and hope that maybe one or two of you find as much enjoyment in his writing as I did. Get well soon, Peter. I want to read more of your stuff. Public talk at World Birding Center next week! SICB 2013, day 5: crayfish!